Now you can download some new stages to play with your crew against all the captains from your near seas. -This Rhum is mine / Ese Ron lo he encontrado yo. -The Chests of captain / Los cofres del capitán. 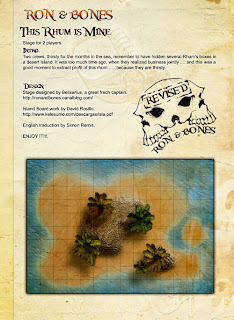 All the stages uploaded here are revised by the development & design team of Ron&Bones and all of them perfect for his use in all the Ron&Bones events.